Today, Google finally unveiled its new flagship devices, the Pixel 3 and Pixel 3 XL. This also means that we can get hands-on the new APKs with that devices. 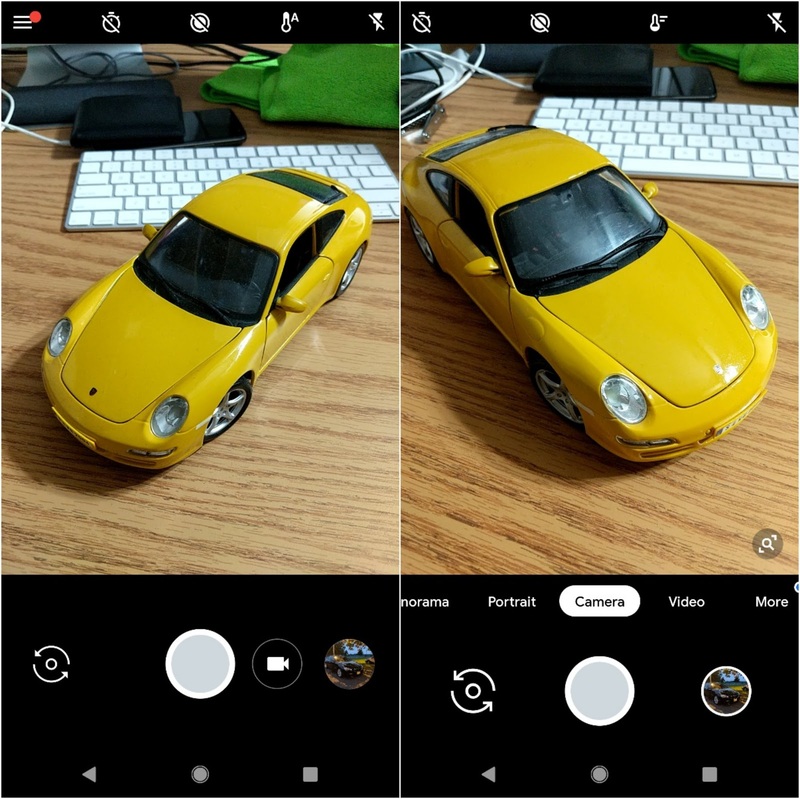 So, today we getting the new Google Camera, which sports a number of differences from the current app on Pixels and Pixel 2s. Highlights include an updated interface, RAW support (finally), and a new panorama mode. First thing is, the whole UI is changed like the smaller video button besides the capture button is gone, and Google has added an Apple-esque carousel above for switching to different modes. Also the hamburger menu is gone, and the carousel now also includes Panorama and Portrait. Other modes and settings are now found in a tab on the right called 'More.' There's also now a new zoom UI, a white ring around your photos, and the color temperature icon has been tweaked. RAW support is now present under the 'Advanced' section. There's also a direct link to RAW images there. Once the RAW toggle is turned on, a quick setting on the top of the viewfinder allows you to switch between JPEG only and RAW+JPEG. Additionally, the Burst settings are gone now, which makes sense given that it didn't really need to be there - Photos already did the same thing. 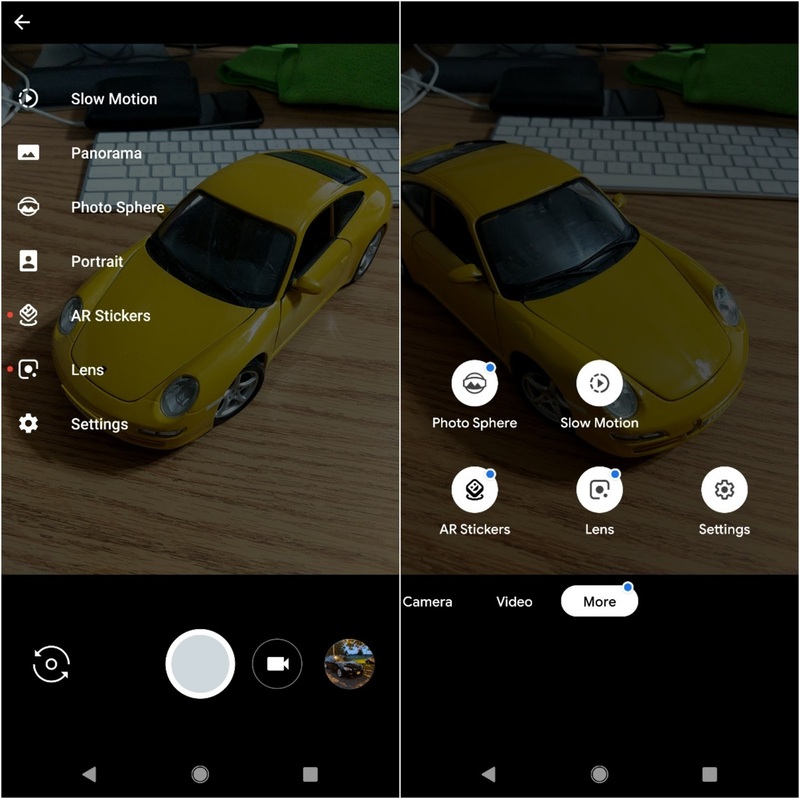 Google has also updated the panorama mode. Gone are the dots you had to align; the new version is easier to use. 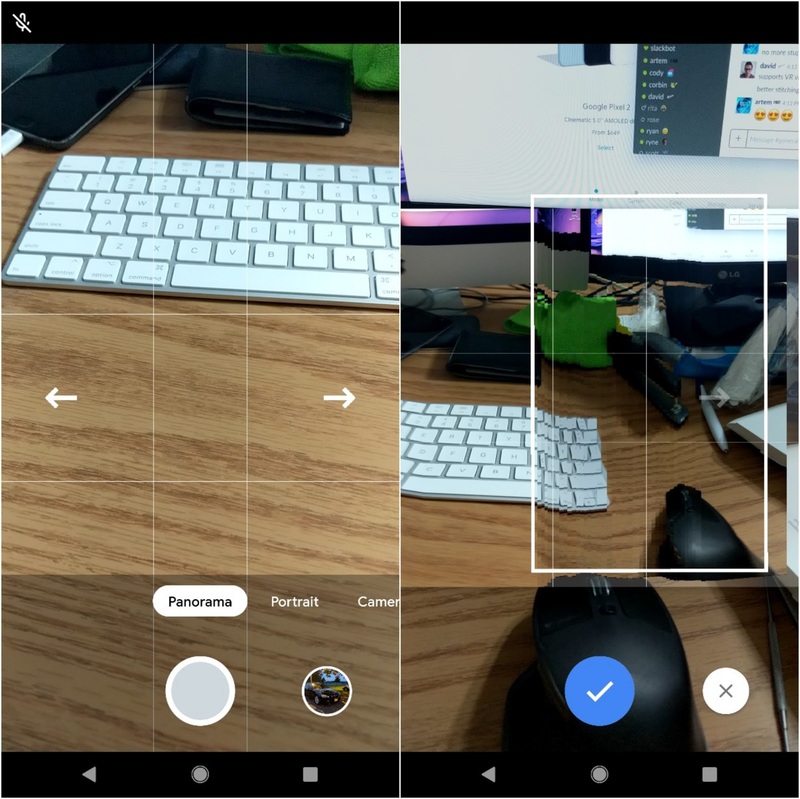 Google tells us it has better stitching quality, and panoramas are now optimized for VR viewing as well. If you want to try the new Google Camera, you can download the APK from below. 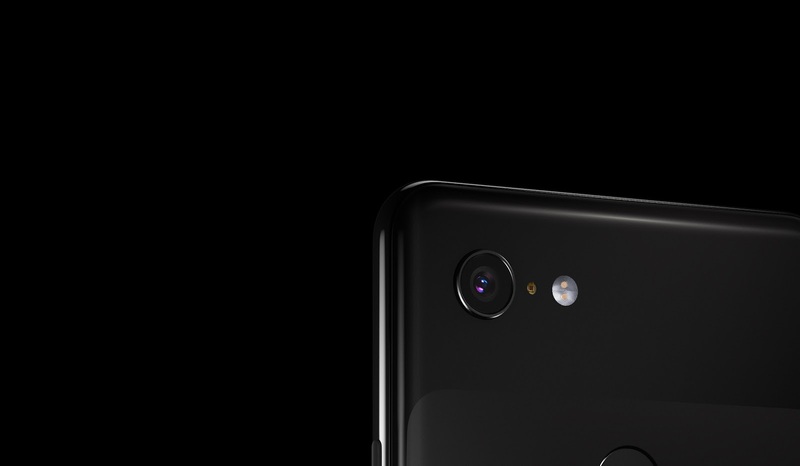 Note that a minimum of Android 9 Pie is required, and that Live Lens, H265, live focus tracking, Top Shot, etc. won't be added with this APK; they are Pixel 3 exclusives.